Tech’s very own Chris Eubanks competed in the U.S. Open in Flushing, N.Y. this past week as the month of August came to a close. 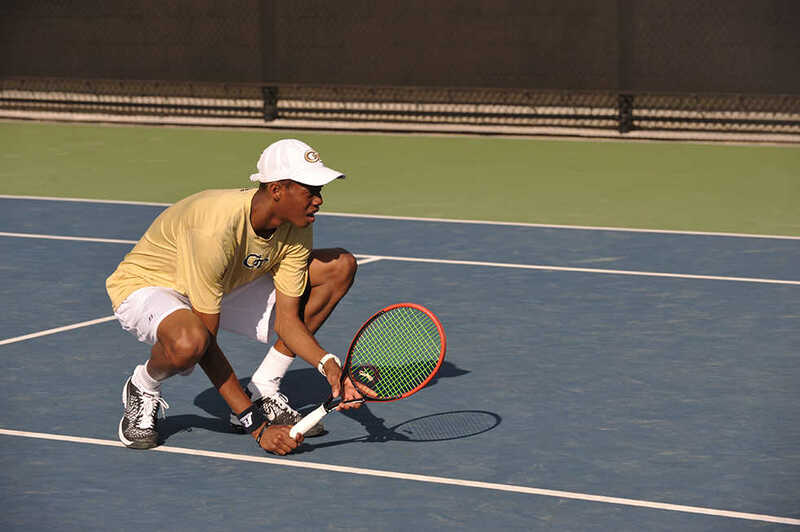 The senior member of the men’s tennis team has continued building the name he quickly made for himself on The Flats after closing out last year’s season as the ACC Player of the Year and the fourth-ranked player in the nation. He competed earlier this summer at the BB&T Open in Atlantic Station, as well as at the qualifying competition for the U.S. Open, the latter of which allowed him to secure a spot in the official tournament. valuable experience on a metaphorically bigger court. He plans on taking the fall semester off to compete in more professional tournaments as an amateur before returning to play as a Jacket during his final season in January. In achieving this level of success, Eubanks follows in the footsteps of his coach, Kenny Thorne, and Bryan Shelton, both former Jackets. Shelton played for Tech from 1985 to 1988, then went on to play professionally before returning to Tech to coach the women’s tennis team to an NCAA title. From there, he went to coach the men’s tennis team at the University of Florida. Thorne played at Tech during the same span of time that Shelton did and matched Shelton in the amount of years that each played. However, Thorne added to his legacy by returning to the Institute to coach, a role in which he has served admirably. Thorne led the Jackets in singles victories when he finished his undergraduate career, a record which was later broken by a player he helped coach. He has coached the Jackets to the NCAA Championship Tournament 12 times and has twice been named ACC Coach of the Year, most recently in 2017. Not to be outdone, the women’s tennis team brought back former Yellow Jacket standout Christy Lynch as an assistant coach during the 2014-2015 season. During her time at Tech, Lynch broke school records and aided NCAA appearances, but now she looks to assist the continued success of the Jackets. The current coaches represent a legacy that will be carried on by the players as the program grows and improves upon what is already in place. Eubanks’s achievement is impressive, but he will not be the only Jacket to grace the grounds of Flushing this fall. Freshman Victoria Flores is set to play in singles competition at the 2017 U.S. Open Junior Championships this first week of September. She could match Eubanks’ achievements by the time she is his age, as she has already competed at the Junior Championships at Wimbledon and is currently ranked No. 27 on the junior circuit by the International Tennis Federation. Similarly, women’s team returners Nami Otsuka and Paige Hourigan will look to lead the Jackets to a strong season after both women had fantastic performances at their competitions over the summer. Otsuka captured the singles title at the ITA Summer Circuit Event at the end of August, while Hourigan was chosen to represent her home country in the upcoming year as part of the New Zealand Federation Cup Team. Hourigan will play Kazakhstan next summer, but both players will look to bring their experience from the summer into the upcoming season.